If you haven’t been keeping up with Twitter, movie news, or YA updates, you might not know that production on THE HATE U GIVE‘s movie recently wrapped. And can we just take a minute to say how incredibly excited we are for this film?! It’s such an important story that has resonated with so many readers, and from casting to photos from set, it’s looking absolutely AHHHMAZING. If only y'all knew how much of a fangirl I am for @TheHateUGive movie, and that's just from watching bits and pieces during filming😂. The final product is going to be so damn dope. Quote me on that. And you might not have known this was happening. If that’s the case, SURPRISE! This probably made your day better. Also, you should probably follow @angiecthomas on Twitter, because she’s been coming through with all kinds of important news. Including—sidenote, info about her next book?! ON THE COME UP isn’t hitting shelves until next year, but Angie has been dropping hints and teases that have us already preparing our bookshelves. Can 2019 hurry up and get here, please?! 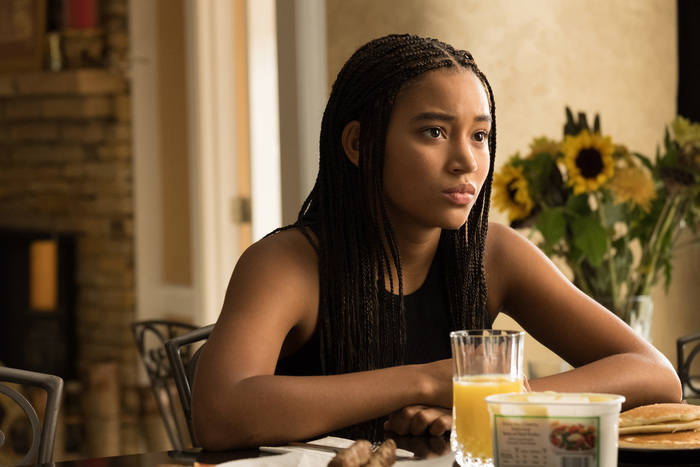 Anyway, while we wait (somewhat) patiently until we can see the THE HATE U GIVE in theaters, we thought it’d be helpful to put everything we know about it in one place. And of course we’ll update with all the exciting announcements still to come, like the release date and any official stills. But for now, here’s everything you need to know! If you miss Starr as much as we do, WE HAVE GREAT NEWS. THE HATE U GIVE is available on digital TODAY! And even more great news: you can snag this epic film on DVD/Blu-ray/4K on January 22nd. Happy watching, book nerds. So, y’all know how we’ve been counting down until October 19th? WELL, THE HATE U GIVE is officially getting moved up so that it can get out in the world earlier! Deadline reported that Fox has moved up the release date by two weeks! The movie will now be opening in limited release on October 5th, and then expanding to more markets over the next couple of weeks with wide release ultimately scheduled for that initial date of the 19th. WE ARE SO EXCITED FOR THIS MOVIE! Oh, and did y’all see all the INCREDIBLE reactions from its premiere at the Toronto International Film Festival?! OMGOMGOMGOMG!! There are so many reasons to love the movie poster, the main one being IT LOOKS SO MUCH LIKE THE ORIGINAL COVER. We think it’s pretty badass that the movie studio decided to do their own spin and recreate it the iconic cover. 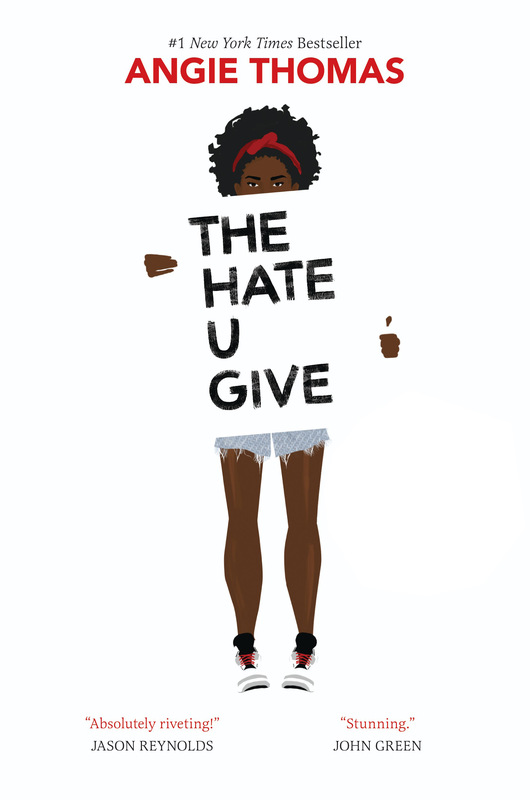 The new hardcover movie tie-in edition of THE HATE U GIVE featuring the poster art will be available everywhere on September 4th and guess what? There will be special bonus content included—like behind-the-scenes images from the film, Angie Thomas in conversation with THE Amandla Stenberg and director George Tillman Jr, as well as an excerpt from Angie’s next novel, ON THE COME UP. We can’t wait to add this to our shelf! Deadline has JUST REPORTED that THE HATE U GIVE will be released on October 19th, 2018! IT’S SO SOON HOW ARE WE SUPPOSED TO WAIT?! Deadline has some news… Starr’s boyfriend Chris has been officially recast! If you’ve been on social media, you’ve at least seen something about Riverdale. The GIFs, the cast, the crazy storylines. Well, now get ready to see it some more. It’s leading man, KJ Apa, has been cast as Chris!! We love him in the iconic role of Archie, and we cannot wait to see what he brings to THE HATE U GIVE! BEFORE I FALL actor and YouTube personality Kian Lawley has been removed from THE HATE U GIVE after past comments and actions came to light. Kian was previously cast as Starr’s boyfriend, Chris. The role will be recast and the scenes will be reshot. But what Starr does or does not say could upend her community. It could also endanger her life. You can start reading our exclusive sneak peek right here! Find out more about the amazing cover design! 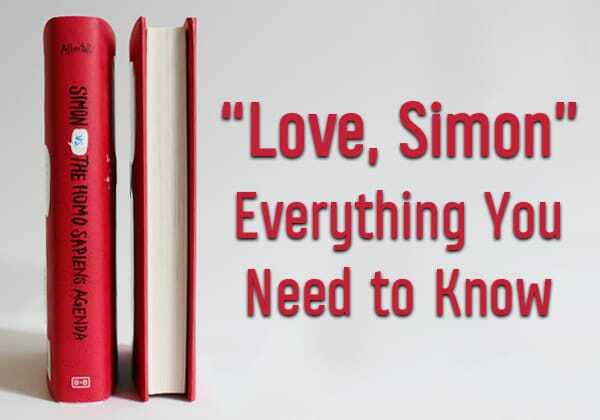 And if you still need convincing, here are all the reasons you need to read it! Please note, Angie wrote the book the movie is adapting. She did not cast the film nor does she have answers regarding the release date or anything else involving the movie!! Please do not bug her about this she is busy writing our next fave book. The film adaptation of THE HATE U GIVE is directed by George Tillman Jr., a Hollywood superstar whose been directing films and television for over twenty years. Some of his most recent work includes episodes of THIS IS US and LUKE CAGE, which sounds like the literal perfect combination to lead into THE HATE U GIVE! You can see the members of Starr’s family right here! We’ve known for a while who the cast behind the Carter family would be (AKA, check out that link above), but over the past few weeks we’ve found out who else is rounding out the film’s epic roster! 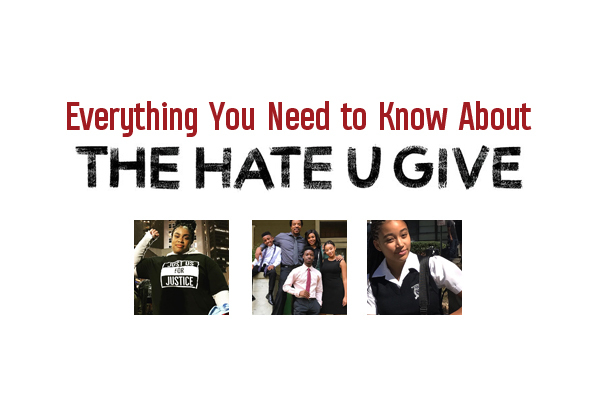 Scroll down to see who else is starring in THE HATE U GIVE! A hip hop artist since 1992, it’s likely you’ve heard Common just as much as you’ve seen him. His acting career has been on fire as of late with roles in both Suicide Squad and John Wick Chapter 2. His social work also makes him a great fit for this role, as he founded the Common Ground Foundation, an organization that seeks to serve underprivileged youth. Even Avengers are assembling for this big screen adaptation! Following his role in the tense, powerful Detroit earlier this summer, Anthony Mackie is keeping his Falcon Wings hung up a little bit longer to star as King in THE HATE U GIVE. It’s a different sort of role for Mackie, as here he plays a drug lord tangled up in Starr’s life through his relationships with the people she cares for. With the acting talents he’s shown off, we’re sure Mackie will do an amazing job portraying this complex character. You may recognize Sabrina Carpenter as one of the stars from the beloved TV show Girl Meets World, which recently wrapped up its four-season run on Disney Channel. On top of a huge social following and a burgeoning music career, the young actress stars here as Hailey, Starr’s friend and classmate. After Khalil’s murder, the two girls find themselves clashing in their beliefs, and their relationship is put to the test. We cannot wait to see these two girls act together! Issa Rae as April Ofrah, Algee Smith as Khalil, TJ Wright as Sekani Carter, Susan Santiago as Detective Gomez, Megan Lawless as Maya, and so many more amazing actors! While no official stills have been released yet (we promise we’ll update as soon as there are), we have been blessed by the movie gods as there have been a TON of behind-the-scenes photos of the cast! We’ve included a couple of our favorites here. Have you ever seen a family so flawless?! And seeing Angie so happy with a bunch of the cast makes our hearts so happy!! Cannot wait to see this friendship on the big screen! Are you as freaking excited for this movie as we are?! Did we miss anything in our adrenaline rush to get all this perfection down? Let us know in the comments!